BUTTERWORTH: A temple caretaker, angry after being reprimanded over burning rubbish openly, ran amok and attacked two men with a meat cleaver at the Wat Siam Mak Mandin, here yesterday. 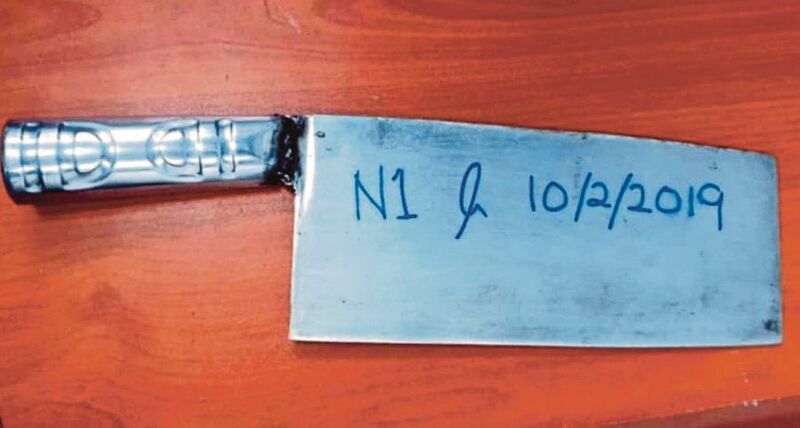 North Seberang Perai district police chief ACP Noorzainy Mohd Noor said in the 6.30pm incident, one of the men sustained injuries in the head and needed 17 stitches, while another was wounded in the right hand. “This has caused him to lose his temper and attacked the two men with a meat cleaver. Both injured men were sent to the Seberang Jaya Hospital for treatment,” he said here. The police also found that he had six previous criminal records and was under the influence of alcohol during the incident.